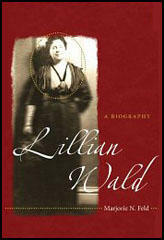 Lillian Wald was born in Cincinnati, Ohio, on 10th March, 1867. 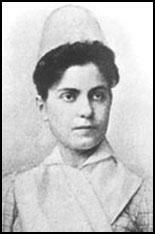 Wald became a nurse and Inspired by the work of Jane Addams and Ellen Starr at Hull House in Chicago, she joined Mary Brewster to establish the Henry Street Settlement in New York City in 1893. The Settlement expanded its range of services to meet the needs of the local community. This included nursing, the establishment of clubs, a savings bank, a library and vocational training for young people. By 1903 Wald was organizing 18 district nursing service centres that overall treated 4,500 patients in New York. Over the next few years Wald promoted the idea of building public playgrounds and cultural institutions in working class areas. Wald was an active campaigner for civil rights and insisted that all Henry Street classes were racially integrated. In 1909 helped to establish the National Association for the Advancement of Coloured People. She also took part in the protests against the film Birth of a Nation that celebrated the Ku Klux Klan and its belief in white supremacy. A committed pacifist, Wald and Fanny Garrison Villard led a parade of 1200 women down Fifth Avenue in New York on 29th August, 1914 to protest against the First World War. Wald was also a member of the Woman's Peace Party (WPP) and after the war helped establish the Women's International League for Peace and Freedom (WILPF). After the war Wald campaigned for socialist candidates and was closely associated with left-wing radicals such as Emma Goldman. As a result she became a target of the Red Scare campaign that took place in 1919. 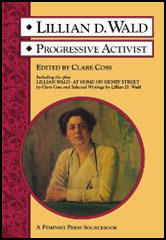 Wald wrote several books about her activities including House on Henry Street (1915) and The Windows on Henry Street (1934). Lillian Wald died in Westport, Connecticut, on 1st September, 1940.